Brookside Meadows has exactly what new homebuyers look for: value, comfort, solid construction and just as important, location. Along with all of the peaceful attributes of a secluded neighborhood, Brookside Meadows is just minutes away from all the shopping, recreation, cultural events and dining of a major world class city. The Metra rail is a short drive away, perfect for commuters traveling to and from the Chicago. Hundreds of retail choices are within a tight radius, including the Orland Park Mall. 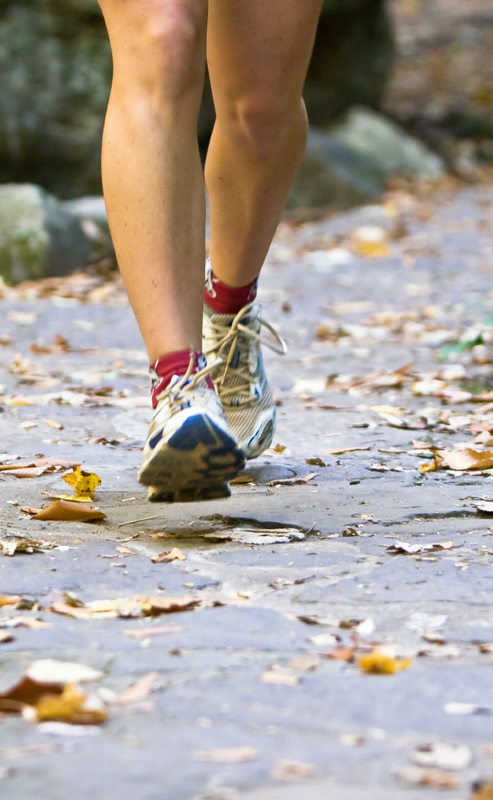 The quality and location of Brookside Meadows makes it difficult for new homebuyers to resist! The park district in Tinley Park maintains 40 parks, 33 ball fields along with several other facilities including the Tony Bettenhausen recreational center with an indoor playground. Residents also have access to an indoor jogging/walking track, gymnasium with three basketball and six volleyball courts, museum, meeting rooms, teaching center, teen/senior drop-in center and much more. 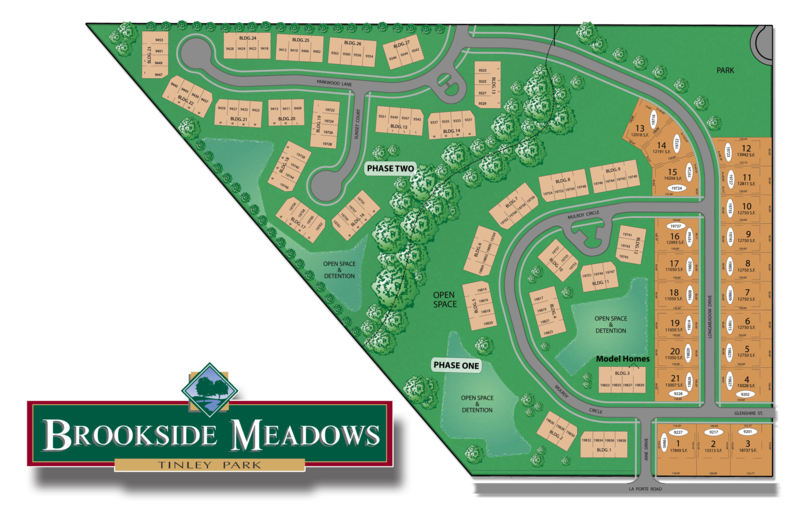 Brookside Meadows, located on La Porte Road two blocks east of La Grange Road in Tinley Park, is Crana Homes’ newest community consisting of over 100 single-family attached homes and 21 single-family homes. Two models of new single-family attached home designs are decorated and ready for touring. Single-family homes represent great new home value and include a two-car garage, full basement and a long list of features and options. Another great feature is the large walk-out basement which is standard in out townhomes. For the energy conscious homeowner these homes also include many ‘green’ features including Energy Miser hot water heaters, vented soffits, 1.75” insulated entrance doors, energy efficient appliances, Low-E glass and Tuff-R insulated wall sheathing. Tinley Park is synonymous with prestigious living. Here you will discover some of the finest homes in the south suburbs of Chicago has to offer, with a wide range of entertainment options, cultural opportunities, superb dining, great shopping, beautiful parks, golf courses and historic places. 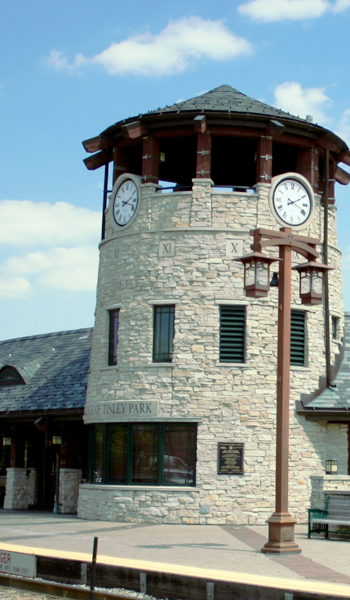 The charm of down town Tinley Park beckons with its many shops and dining establishments. Here you will be part of a community that is proud of its history; a community that enjoys a lifestyle that is envied by all who visit. Tinley Park offers several community events over the year, including its famous Caribbean Block Party, Irish Parade, Boo Bash, Parade of Lights and other great family activities like the farmers market. This is a destination for all to enjoy, with unlimited entertainment choices. From special events held right here in our quaint downtown center to dynamic attractions in Chicago and other nearby towns, visitors can expect to have fun-filled days and nights Throughout the year. There’s so much happening every month of the year from the Halloween Boo Bash and the Benches on the Avenue to Music in the Plaza, the Farmers Market, Cruise Nights, the Caribbean Block Party and lots of Holiday Happenings.